I found that much cycling in Sydney is not for the fainthearted. However when I went to visit Bicycle New South Wales to catch up with advocacy chat I discovered a cycling oasis around their offices in the Olympic Park site. 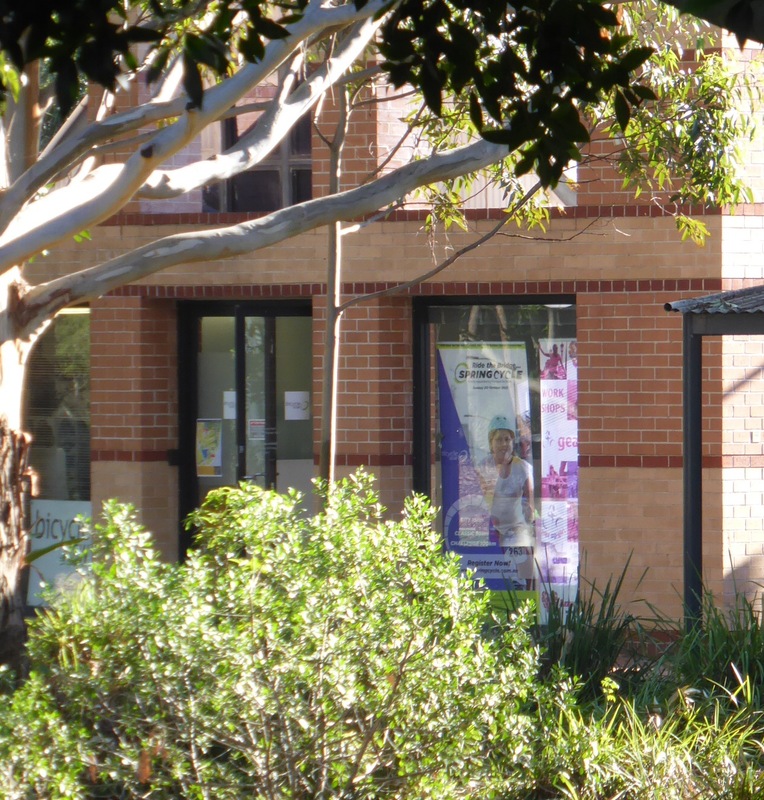 As a not for profit organisation Bicycle New South Wales have a great deal to use legacy buildings on the site of the 2000 games which puts them in an attractive leafy spot on the edge of the park. 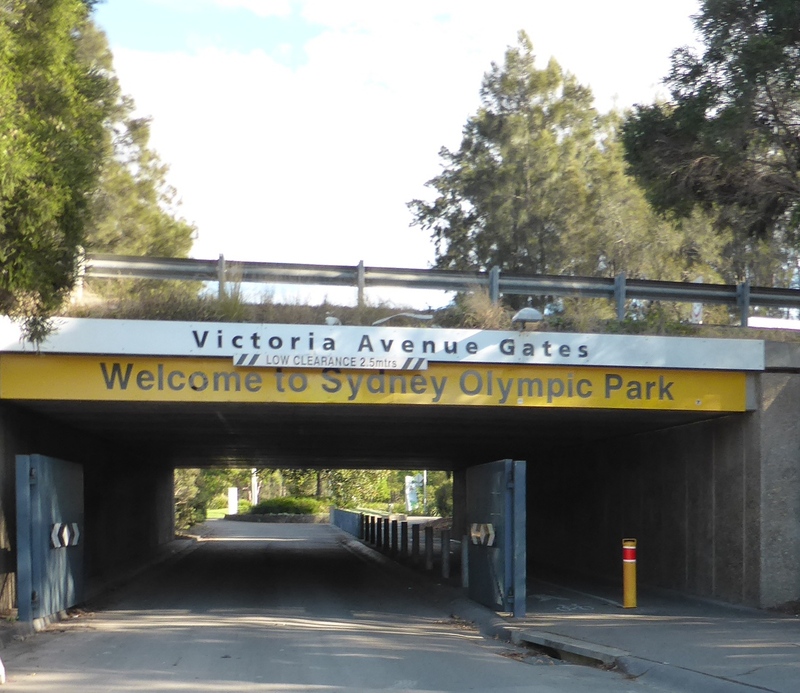 And perhaps more importantly they are at the heart of one of Sydney’s hot spots for cycling because the other legacy is a network of car free and quiet roads that encourage riders of all abilities. 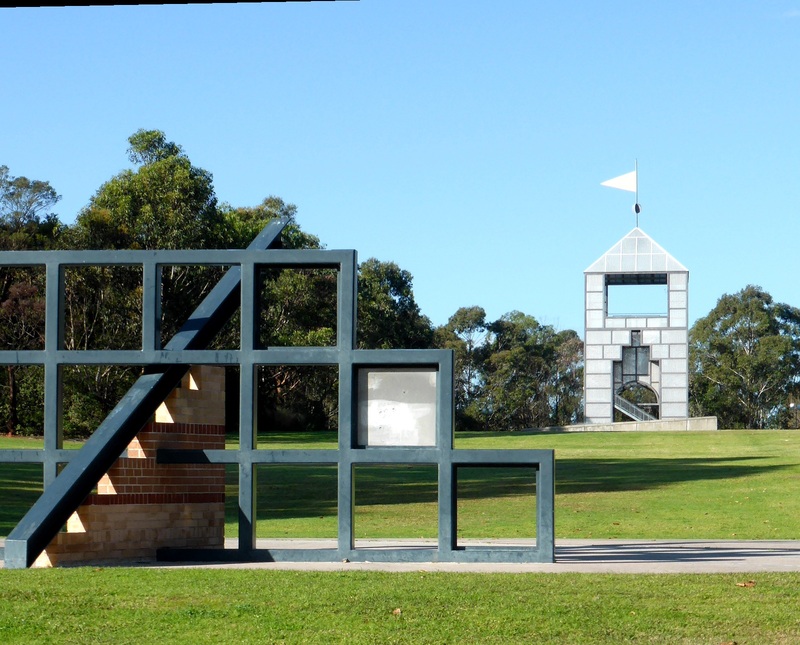 I read that there are 35 km of cycle paths in the Park and the background of parkland, sculpture and outdoor activities is an attractive and inviting background for a spin. Apparently the fast riders get in here very early in the morning and big pelotons thrash the access roads at high speed while the shared use tracks on the parkland are much more popular with beginners. Throw in a good coffee shop for the post ride chat and it is all here for a captive cycling audience. 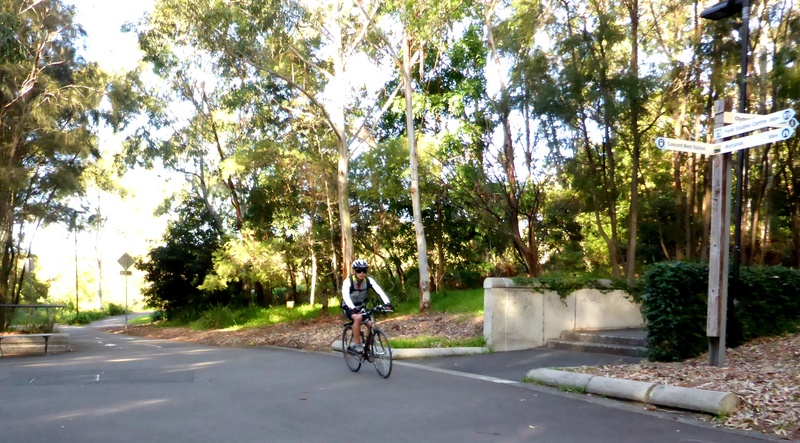 I am not sure about the access to the park by bike but on my route there I found another bonus – almost all Sydney trains and ferries carry bikes free, or at the price of a child ticket during peak hours. 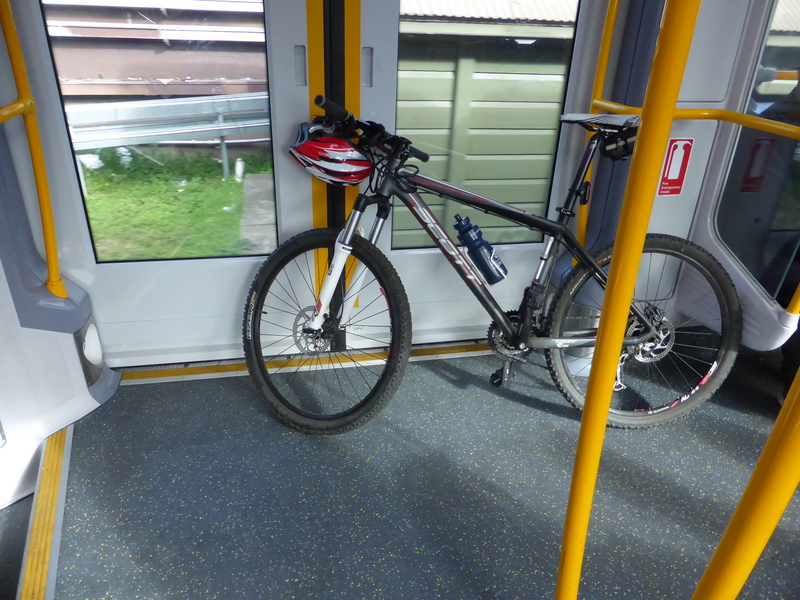 There are no special cycling places that I could see but every train has a large number of open sections and wheelchair access so it was really easy to use. As Olympic Park has its own ferry terminal and several nearby stations that was a real bonus. 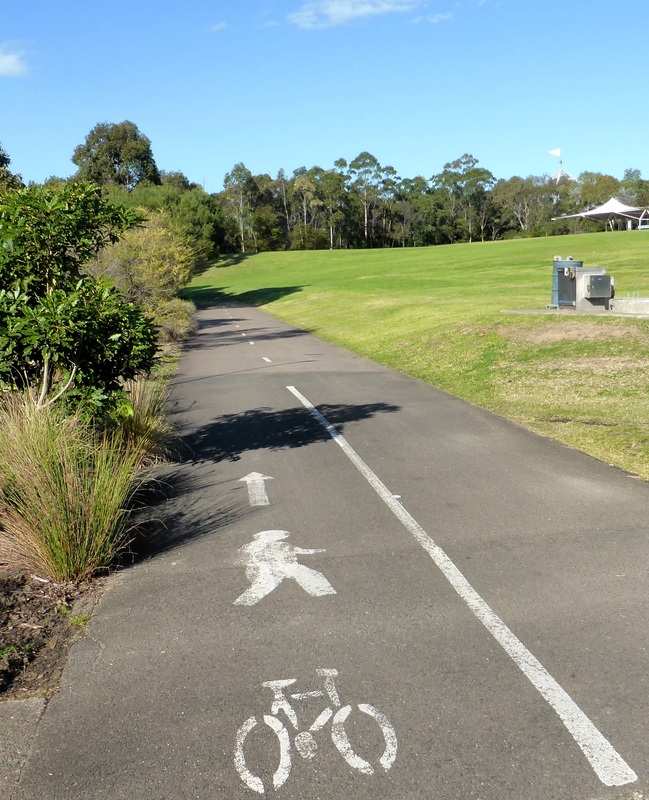 A flexible arrangement like that should be recommended for all cities, and it is especially essential where the highways that link many Sydney suburbs really are not bike friendly. Alternative access opens up resources like Olympic Park to so many more people. 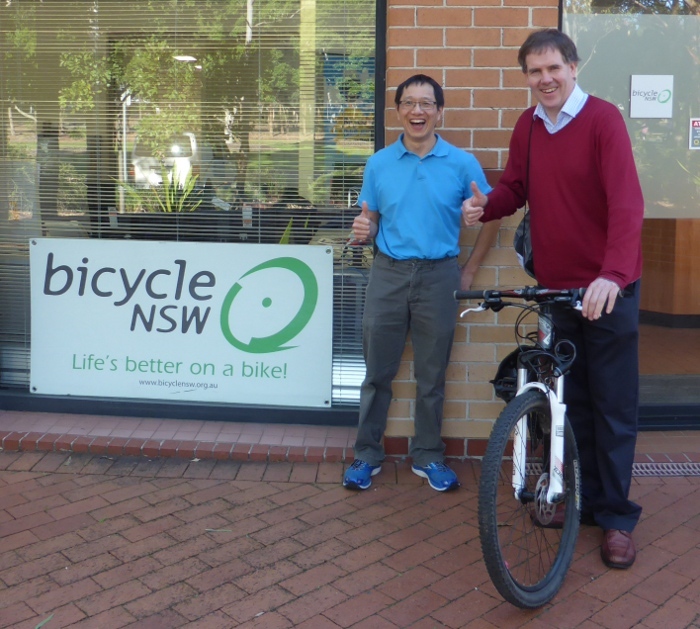 Thanks to Brian Fong and his colleagues for making me welcome at Bicycle New South Wales.